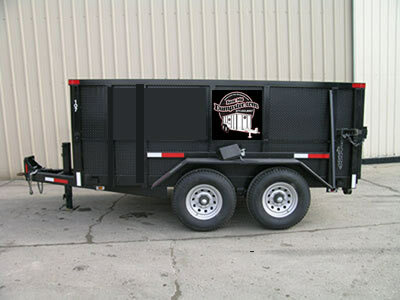 Our dumpster rentals are ideal for homeowners, do-it-yourselfers, and contractors. All of our dumpsters are well maintained with rubber wheels, also know as driveway friendly dumpsters, driveway safe dumpsters, or rubber wheeled dumpsters. And we have the best dumpster rental prices. Although we don't handle roll off dumpsters, also know as roll off containers. We can direct and help you in finding a reputable dumpster company. Dumpster service is simple and quick with Rent My Dumpster. You don't have to spend a lot of time filling out any internet forms or going through a middle man to rent a dumpster. Just pick up the phone and give us a calL or e-mail us at Info@RentMyDumpster.com.We will help you decide on the right size dumpster for your job and give you a price quote up front. When you rent a dumpster, you want the dumpster to arrive on time and be picked up on time. Unnecessary delays to your cleanup job or construction job due to poor service costs time and money.Some trash dumpster services are actually only middle men. They take your order and then source it out to the highest bidder. That's the case when you go to "brokers" such as Dumpster For Less or Same Day Dumpster Rental in Detroit or Ann Arbor to rent a dumpster, which are not a local dumpster rental business. Another point to look for, are they with the Better Business Bureau. If you're not communicating directly with the dumpster service that's going to supply your dumpster, there is a greater chance of miscommunication and poor dumpster service. There's nothing more frustrating than planning a job for Friday and having the dumpster show up on Monday. With Rent My Dumpster, you are communicating directly with a locally owned dumpster service when you rent a dumpster. There's no middle man and no miscommunication. They'll bring the right size dumpster at the right time. When you need the dumpster picked up or switched out, they'll be there on time. Rent My Dumpster provides rubber wheel dumpster rental across Southeast Michigan including dumpster rentals in Detroit, MI; Ann Arbor, Westland, Troy, Warren; St. Clair Shores, MI, Livonia, Canton, MI, Novi; Dearborn, MI, Southfield; and nearby communities. Allen Park, Belleville, Canton, MI; Dearborn, MI; Dearborn Heights, Detroit, MI, dumpster rental in Farmington Hills, Grosse Pointe, MI; Harper Woods MI, Inkster, Livonia MI, New Boston, MI; Plymouth, Redford, Rockwood, Romulus, MI; Taylor, Wayne, Westland, and Wyandotte, MI. Auburn Hills, Berkley, Beverly Hills, dumpster rental Birmingham, MI; Bloomfield, MI; Clawson, Commerce Twp, Farmington, Farmington Hills, Ferndale, Franklin, Hazel Park, Highland Twp, Holly, Huntington Woods, Keego Harbor, Lathrup Village, dumpster rental in Milford, MI; Northville, Novi MI, Oak Park, MI; Orchard Lake, Pleasant Ridge, Pontiac, Rochester, Rochester Hills, Royal Oak, MI; Southfield, dumpster rental in Troy MI, Walled Lake, Waterford, MI, West Bloomfield, and Wixom, Michigan. 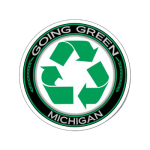 Ann Arbor, MI, Barton Hills, MI; dumpster rentals in Chelsea, MI, Dexter, MI, Manchester, MI, Milan, MI; Saline, MI, and Ypsilanti Michigan dumpster rental. Copyright © 2005-2014 Rent My Dumpster, Inc. All Rights Reserved.